Dizilernote singular dizi; literally "series" are television dramas produced in Turkey. Since breaking into the global market in the late 2000s, Turkish series have experienced an international boom, owing to their high production values, gorgeous actors, and cross-cultural appeal. Today, Turkey is one of the biggest exporters of live-action television worldwide, producing veritable hits across the Middle East, Latin America, and Eastern Europe (including countries that have fraught relations with Turkey, notably Greece). Streaming platforms such as Netflix have also helped introduce Turkish dramas to North American and Western European audiences, where they have developed a following. The global reach of these series is often cited as an example of Turkey's burgeoning soft power — the expansion of influence through cultural exports. The term dizi is sometimes translated as "soap opera". While many popular shows are straight-up Prime Time Soaps, Turkish television encompasses a variety of genres, ranging from crime dramas, thrillers, detective and police procedurals, romantic comedies, historical dramas, and speculative fiction. They likewise run the whole gamut between idealism and cynicism. While many series can be characterized as stereotypical Melodrama or feel-good fluff, others try their hand at addressing serious social issues such as discrimination, domestic violence, and corruption. Because of the the high stakes involved, writers often strive for Multiple Demographic Appeal, creating a palpable blend of suspense, romance, action, drama, and intriguing characters that can attract a diverse audience. Most series feature a couple to root for, even if the love story is tangential to the plot, but familial ties and friendships are often equally (if not more) important to the average Turkish drama. The majority of series are filmed in the Istanbul metropolitan area, where production studios are based, though Ankara and Izmir occasionally feature as urban settings. The southeastern province of Mardin is the go-to backdrop for so-called "eastern" stories. These are typically Culture Clash narratives, in which modern-minded protagonists are thrown into a foreign, traditional society, where tribal rivalries, vendettas, and blood feuds remain a reality . One of the first things a new viewer will note about dizi is that the episodes are long. Very long. For contemporary Turkish series, a two-hour episode isn't unusual — it's the norm. Understandably, they are often split into more digestible segments when exported internationally. Seasons aren't exactly brief affairs either: while most series only run one or two seasons, those seasons can feature upwards of forty episodes. In terms of storytelling, this is a double-edged sword. Used wisely, it can be used to develop complex characters, explore relationships, and build suspense; less wisely, it may result in Filler, recycled plots, and Arc Fatigue. Turkish series also have some of the highest costs per episode, with some shows spending over half a million in US dollars for each installment. Predictably, this creates a competitive high-stakes playing field, as each network can only air one show per nightnote Shows do get scheduled at the 23:00 hour, but those are as good as dead. Making matters more complicated are notoriously fast-paced production schedules, with episodes being filmed and edited less than three weeks in advance. This can result in a lot of Writing by the Seat of Your Pants and Pandering to the Base, particularly for shows that are struggling to retain an audience. Through the 2010s, Turkish series have faced increased scrutiny from conservative AKP government authorities, who have censored, fined, and even threatened to pull popular series off the air. One of the most visible changes is the depiction of alcohol; by the end of the decade, censorship of alcoholic beverages had become the norm on broadcast television. Portrayals of romance and sexuality have similarly come under fire, with one series even Breaking the Fourth Wall to pointedly call out the censors . This isn't to say the state opposes all forms of broadcast entertainment, however: on the contrary, the government has used the popularity of television dramas to promote their own worldview, namely by championing their own series that profess a deeply revisionist version of history. 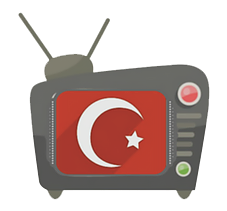 2016 saw the launch of BluTV and puhutv, rival streaming services determined to change the course of Turkish television. These companies would not only stream past and present hits, but also their own original series. Unconstrained by the fast-paced and competitive norms of broadcast television, these originals have the freedom to develop stories at their own pace and experiment with a wider range of concepts. Additionally, digital platforms are not so easily bound by censorship measures that pressure their broadcast counterparts, allowing them to push boundaries in terms of content. Compare Telenovela, Korean Drama, and Dorama, other regional forms of television series.